This is a super lightweight moisturizer that is great for oily skin. Light yet moisturizing, smells and feels refreshing, and doesn't break me out! My everyday go to moisturizer. My go to moisturizer during the summer months. Light, moisturizing and feels refreshing. The gel-like texture is great during the hot weather. I put this on and then my SPF, then I'm good to go! I have combination skin. This lotion is great for controlling oil and hydrating at the same time. My T-zone feels clean all day. But probably not moisturizing enough for dry skin. This is a very light gel that smells amazing! I wish it were a little more hydrating, but it's great for oilier skin types. I usually mix it with something a little heavier for my combo skin. I love this product. It is a good moisturizer and control oil. This is a perfect daytime - and nighttime- hydration serum. It goes on easily (just 1-2 pumps to cover your face) and absorbs quickly. I like the smell and it does not clog your pores. It has a slight cooling effect when you put it on your skin but is thin so spreads easily. It moisturizes without feeling heavy or clogging my pores and I have large pores. This lotion is fantastic - - my go to moisturizer every single day. No breakouts, just smooth, hydrated skin! Love it! 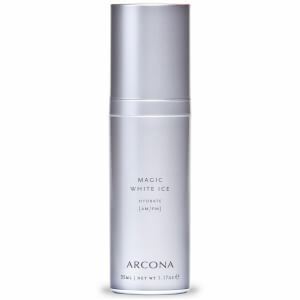 I've been using Arcona products for over 20 years and they have never steered me wrong. This serum is hydrating and plumping and does great under moisturizer or by itself! I used up my first bottle, will repurchase it! Good for combo skin!